for Filmmaker of the Year. It was a meeting of the finds (sic) for the Detroit Independent Film Festival (DIFF) and the inaugural Uptown Film Festival (UFF). More than 200 films — produced entirely in Michigan — were submitted. Of those, the top 10 were chosen for the second annual Michigan Film Awards competition. Michigan Film Award nominees competed in 25 categories and the winners were announced last Saturday night at the Awards Ceremony which was held at the Birmingham Palladium 12. Film fans and Michigan boosters alike had a chance to attend screenings of 30 full-length and short films over two days at the Palladium and Birmingham 8, along with the second annual Michigan Film Awards and two VIP charity afterglows. Net proceeds will benefit Gleaners Community Food Bank, the DIA and the Arthritis Foundation. The top honor — Michigan Independent Filmmaker of the Year — went to Amy Weber, Birmingham resident and lifelong Michigander, for her triumphant work on Annabelle & Bear. "It was kind of an experiment," said Weber of her first-time full-feature film effort. "'What if we created a project where we showcased 100 percent of Michigan — from the crew, to the talent, to the products to every single piece of music in the film?'" she wondered. More than 4,000 people walked through the door of Weber's Radish Creative Group company in Royal Oak clamoring to be a part of that special experiment. "We hired people who we felt had the passion for the film," said Weber. "That's why we were so honored on Saturday (with eight nominations). This production really inspired people. Many were down and out from the auto industry and are now off working on major films because of the training they received on Annabelle & Bear. It was an extraordinary experience that changed people's lives forever." Four-year-old Olivia Walby of Bloomfield Township was only 2 when she played the female title role of Annabelle. "We went to an open call," said Olivia's mother, Patty Walby. "It was so busy, we couldn't even get an appointment so we just walked in off the street — cold. I prepped Olivia by telling her it was going to be an unusual playdate." Walby's performance was anything but unusual. Weber based the character Annabelle's endearing "isms," as Weber calls them, on her own daughter, Ayden. "Working with Olivia was a gift," said Weber, who directed, co-wrote, co-produced and was the musical supervisor of Annabelle & Bear. Winning Michigan Independent Filmmaker of the Year was a full-circle culmination for Weber and her dedicated team of volunteer actors and crew. In the past year, Annabelle & Bear went to 12 Film Festivals and took top prizes in seven, including "Best Actress of the Midwest" for Walby. "How does it feel to be a star?" I asked Olivia at the Annabelle & Bear UFF screening at the Birmingham 8. "I'm not a star," said the incredibly poised and eloquent 4-year-old. "I'm just an actor." The little "actor," as she calls herself went on to be featured in Vamps, another film shot in Michigan, featuring Alicia Silverstone and Sigourney Weaver. Weber's "Filmmaker of the Year" trophy will probably go alongside her two Emmys, 50-plus Telly Awards and a slew of others. "To think that the efforts of my team and what we've accomplished with Annabelle & Bear stood out so much to be honored in this way was very humbling." Amy Weber, a 41-year-old Birmingham resident and two-time Emmy winner, is now hoping for film distribution for "Annabelle & Bear," whose timeless message includes one of real-life industrious Michigan workers as well as a touching fictitious father and daughter story. The lifetime Michigan native established her production company, Radish Creative Group, in 1997 while jointly finishing her master's degree in communications arts at Eastern Michigan University, and teaching at EMU and Specs Howard. She credits burgeoning statewide moviemaking with Michigan's foresight for establishing a better entrepreneurial climate and carving out a new economic niche. Hail to the victors! That would be everybody connected to "Annabelle & Bear". The all-Michigan film produced, directed and co-written by Birmingham's Amy Weber and her Radish Creative Group premiered Feb. 20 to a sold out crowd (1,300) at Detroit's Music Hall Center. The evening was a benefit for Starfish Family Services, a good call considering the story. It's about how an adorable two-year-old (Annabelle played by Olivia Walby) snuggled into the heart of her burly, biker birth father (Bear played by Curt Massoff) after her crack-addicted mother dumped her on him. Annabelle & Bear tells the story of a man who finds himself suddenly thrust into fatherhood, and the unexpected journey that leads him to discover the life-altering love found in the heart of his little girl. Thanks to cushy tax credits, Michigan has been a hotbed of filmmaking lately. Add Annabelle & Bear to the list, but take note of one exceptional difference — the film is 100 percent a Great Lakes product, featuring an entirely local cast, crew and soundtrack. 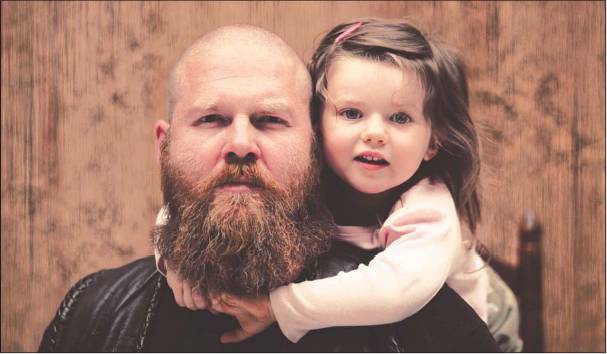 Directed by Birmingham resident Amy Weber and produced by Royal Oak's Radish Creative Group, the film tells the story of Bear, a rough and tumble biker who suddenly finds himself raising his 2-year-old daughter, Annabelle. A preview of the locally produced movie "Annabelle & Bear" screens at 8 p.m. Saturday at Detroit's Music Hall Center for Performing Arts. The film features a totally Michigan cast, crew and soundtrack; more than 4,000 residents responded to initial casting and crewing opportunities. The red carpet will be rolled out Feb. 20 at the Music Hall Center for Performing Arts to showcase a made-in-Michigan film with proceeds donated to Starfish Family Services, an organization that strives to help strengthen family relationships. “Annabelle and Bear,” a movie made by Radish Creative Group of Royal Oak, was filmed at 12 locations in southeast Michigan last summer and director Amy Weber will soon offer the community a sneak preview of the movie. Starfish Family Services is a nonprofit organization based in Inkster that is dedicated to helping children and families in Metro Detroit. CEO Ann Kalass said the donation from Weber and her Radish Creative Group will be used to enrich the lives of local families in need. The film’s cast, crew and musical talent are all from Michigan, Weber said. They are a blend of seasoned professionals and people looking for experience in the film industry. She selected 20 instrumental pieces and songs from a competition Radish Creative Group hosted to help create the film’s musical score. The band, “Nervous But Excited,” won the competition and made a cameo appearance in the film. “Radish Creative Group opened our doors to people interested in film making,” Weber said. A star of the film, 3-year-old Olivia Walby of Oakland County, was chosen for the role of Annabelle from hundreds of young girls who auditioned. Walby said that even with her own 20 years of television production experience, she found it fascinating to watch the making of a movie and the many levels of coordination it takes to create a full-length film. To purchase tickets for the screening gala of Annabelle and Bear, benefi ting Starfish, call the Music Hall Box Office at 313-887-8501 or visit www.ticketmaster.com. Tickets are $15 each. Michigan is attracting stars and movie studios. Now, a local production company wants to make a movie that is 100-percent made in Michigan. Do you think you could be a superstar? If you believe you have what it takes, then you must take advantage of a casting call at Radish Creative Group in Royal Oak. "I believe we have a talented state," said director Amy Weber. "I'd love to say that we're on this huge mission, but the bottom line is it really is about bringing a community together to expose the talent that we have here." Radish Creative Group is a Royal Oak-based production company and it's best known for its award winning commercial work. Now they're going from commercials spots to the big screen, and Weber needs you. "We will find a role for people. There's no doubt about it," she said. They also need production assistants, wardrobe and makeup pros and people who know a thing or two about props and art. Weber wants the entire cast and crew to be people who call Michigan home. "Opens the door of an opportunity for us to kind of shine and show what we're made of," Weber said. The movie at the center of it all is called "Annabelle & Bear". Weber says it's about "the healing of a broken family." The film will be shot in metro Detroit and in other locations across the Great Lakes state. Want to be part of the production? An open casting call is being held at the Radish Creative Group on Wednesday, May 27. They are located at 326 East Fourth Street in Royal Oak. You need to e-mail the producer at casting@annabelleandbear.com to setup an audition time. Amy S. Weber has learned to trust the universe. The name of her business, Radish Creative Group Inc, a two-time Emmy award-winning Royal Oak-based production house, was created by chance — or by fate. 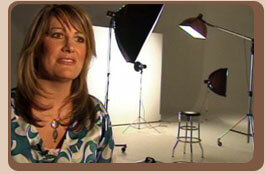 In 1997, the year she founded the company, Weber was finishing her master's degree in communication arts at Eastern Michigan University while teaching classes in performance and television production at EMU and at Specs Howard School of Broadcast Arts in Southfield. The universe certainly seems to be at work for her these days. Weber, 41, the company's executive producer as well as director, writer and producer, is in the final phases of post production of her first feature-length film, “Annabelle and Bear.” The film was shot over 15 days this past summer and is currently being submitted to film festivals, including Cannes, Toronto International and Sundance with the hopes of landing a distribution deal. . The film — which she produced, co-wrote and directed — is the story of a motorcycle-riding rebel suddenly thrust into fatherhood. By the time she got to her dinner, she'd composed the entire storyline in her head, from beginning to end. Her final script came 27 drafts later, as did her cast and crew — all based in Michigan. An all-Michigan production was a proud achievement for Weber, who took advantage of the Michigan Film Incentive. But she didn't just hire locals; she hired many that were out of work and with no film experience. Weber, born in Saginaw and raised in Livonia, didn't always have her sights set on making a feature film. After earning a bachelor's in telecommunications and film from EMU, she began her career in advertising as a producer at DDB Needham Worldwide Communications Inc. in Troy and BBDO Detroit L.L.C. in Southfield. Within in a few years, however, she decided to go back school and teach, while searching for her life's mission. What she learned from her students — some twice her age — was how much she didn't know. “A lot of my students became my life teachers,” she says, adding her teaching experience was behind her decision to start producing educational programming. Today, the award-winning director says she's learned through her work — including film and advertising in every media — that people want to be entertained and they love to laugh. Plus, she's learned to respect the power she wields with these communications. Weber makes her home in Birmingham with her wife and business partner, Tina, whom she married in Canada; their daughters, Ayden, 3, and Logan, 5; a Lab named Chloe; a Chihuahua/Miniature Pinscher mix named Bear; and “the oldest black cat on the planet,” Brittian, 20. Detroit Make it Here caught up with the filmmaker at her Royal Oak office, during a break as she dined on carrots, hummus and water. - What did you want to be as a kid? First a vet. Then a detective. Then Pat Benatar. Then a producer. Then a director. Still wondering what will be next for me. - One film or show everyone must see? A Cirque Du Soleil performance. It challenges all human boundaries and is the only creative work out there that I have seen that defies gender. I never leave a performance the same woman. - What is your favorite film? I have so many. “To Kill a Mockingbird,” “Tootsie,” “The Goodbye Girl,” “Fatal Attraction,” “Braveheart,” “Gladiator” and “Brokeback Mountain” are just a few. My favorite films take me out of reality and allow me to escape to another place and time. - Who's your favorite director? Ang Lee. His stories are genuine and thoughtful. He has range, which is something I greatly respect. - Best aspect of your field? The beauty of creativity and watching it come to life. Each project brings new opportunities to grow creatively and challenge myself to go beyond any budget restrictions to find that golden moment in telling a story, whether it be a 30-second story or a 90-minute story. - What do you do when you need to be creative and it's just not happening? I let go of all thoughts, worries and expectations and allow my heart to lead me. When my head is quiet, the creative flows so much more easily and I feel so much more at peace with the process. - Best advice you've ever received? That 80 percent of life is just showing up. - Favorite restaurant in metro Detroit? Little Tree Sushi Bar and Katana Japanese Steakhouse in Royal Oak. - If you had one extra hour a day, how would you spend it? - Best advice to someone who wished they had your job? Never believe in anyone that tells you that you can't or that you won't. You are the only one that can hinder your success. - One thing you must do before you die? Make a contribution, no matter how large or small, to the world, in a way that impacts positive change. - What keeps you in Detroit? My family lives here. But I believe in Detroit, and in Michigan. Our current climate is most definitely challenging, but I know in my heart that we will find a creative way to pull ourselves out from under it and celebrate once again the miracles that come from facing adversity. I don't really know. Isn't that exciting? For more on Radish Creative Group, see www.radishgroup.com. 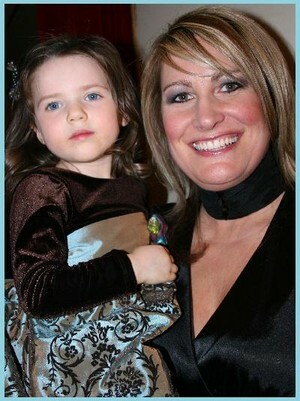 For more on “Annabelle & Bear,” go to www.annabelleandbear.com. Amy Weber’s journey to film-making has taken some interesting twists and turns. Starting off in the professional biz in TV news production, Amy then moved on to post production, leading to a producer role at several large agencies (DDB Needham & BBDO) working mainly automotive accounts. Somewhat of a dreamer, Amy’s path took an unexpected turn; she left behind the producer’s life to pursue a master’s degree while teaching at the college level. Then came Ann Arbor-based Radish Creative Group; what began as a one-woman production house with a focus on educational documentaries and commercials, has now turned into a passionate conglomerate for commercial, television and film projects. Annabelle & Bear is RCG’s first full-length film, starring all Michigan-based actors, musicians and film crew. For more information, www.annabelleandbear.com. Is Annabelle & Bear the first film you ever worked on? Annabelle & Bear is the first feature I have worked on. So this is a first for me. Two years ago, my team was involved in the Cinema Sports 10-hour film competition, in which we conceptualized, filmed and edited a short in ten hours. It was quite exhilarating. I am expecting more of the same with this film, but on a much more extreme level. What is your film about, and when will the rest of the world be able to see it? Annabelle & Bear is the dramatic, tender story of a man who finds himself suddenly thrust into fatherhood, and the unexpected journey that leads him to discover the life-altering love found in the heart of his little girl. The plan is to have the film ready for Sundance (end of September rough cut for submission) and then on to the festival circuit, in search of distribution. We are also at the beginning stages of discussions with local charities that focus on families struggling with addiction and other issues, holding special event screenings as fundraisers for those organizations. Those events will be held mainly in the metro-Detroit area starting in early winter. So we’re hoping for a mid-winter release of the film, but that will depend on a distributor. What about Annabelle & Bear are you most proud of? Hundreds of individuals have come together to be part of our little film. Several of them have shared with me that without this opportunity, they would be sitting at home, depressed and frightened about what the future holds for them. Annabelle & Bear has become a hopeful project that has exposed the heart of what our great state is all about; people following their dreams, living for the moment and participating in the change that surrounds us. No matter what the outcome of our little film, the synergy and power behind it will be what I am most proud of. To always follow my instincts. Anytime I have derailed from that, it has been disastrous. What makes Ann Arbor (or Michigan, in general) a great place to be a filmmaker? I see great things for the state of Michigan. The potential here for something exciting and real is possible. To be part of this industry now, during the formative years of film and television development is something I feel honored to be part of. We have an opportunity that is unprecedented and we must step outside of our safe spaces and take chances in order to be part of this movement. If you could make a dream film, what would it be your topic? My dream film would be any story that provokes thought and inspires change, especially for the GLBT community. After watching a great story that makes me re-evaluate my purpose and how I might make a change, I am instantly inspired to create something that stirs emotion. I’m a bit of a sap when it comes to why we’re here. Ha. Well, my creative juices are rejuvenated simply by clearing my mind and remaining open to what comes. Acceptance and allowing have greatly helped me remain creative. I find blocks only when I have walls up. Remaining open to what is— that is what feeds me. Chocolate doesn’t hurt either. ROYAL OAK, Mich. (WJBK) - Michigan's movie mecca continues to grow. Now, the director of a movie made in Michigan is hoping to hit a high note and has a creative idea for finding local musicians to score the film. "Annabelle and Bear" is an independent film with a tender story about a broken family who is trying to put the pieces back together again. The movie will be shot in the Great Lakes state, and the entire cast and crew is from Michigan. "We wanted 100-percent the soundtrack of this film to be all Michigan music and that's what we're going to get," said Amy Weber, who co-wrote the film. So, an internet competition was created to ban together all the best, untapped musical talent in Michigan. As for the winner, "That one lucky band or musician or artist will be featured in a cameo role in the movie," Weber said. "Just the opportunity to have a song in a movie like this or anything, for that matter, it's just a great opportunity," said competitor Chris Laskos. "We have nothing to lose," said competitor Cheryl Prano. "We're already at nowhere." "It's time for the world to realize that Michigan is not as down and out as everybody is making it sound everyday, and there's just a ton of talent here on some many different facets," said competitor Paul Clem. "It's time that the world realizes that not all the talent just resides in California." "Hopefully, there's a big release on this one and it goes national, and what else could you ask," said competitor Ronnie Mowrer. Royal Oak-based Radish Creative Group will hold an open casting call for at least two days, starting Wednesday, May 27, for “Annabelle and Bear,” a movie to be filmed in Michigan with a local cast and crew. Auditions will be held 11 a.m. to 5 p.m. Wednesday, May 27, and times to be determined Thursday, May 28, at the Radish Creative Group Studio 326, at 326 E. Fourth in Royal Oak. The movie is written and will be directed by Amy Weber of Radish Creative Group. “From the very start of the production, including casting to the final touches in editorial and audio post, I am very proud of the fact that this film will be made completely in Michigan.” Weber stated in a press release. To schedule an interview or for more information on cast and crew positions, such as production assistants, wardrobe and make-up assistants and art department and props assistants, e-mail Radish producer Melissa Hughes at melissa@radishgroup.com. Hughes said head shots via e-mail are not required, but she urges those auditioning to show up in character appropriate attire for the role they are trying to fill. Direct department e-mails are: casting@annabelleandbear.com and crew@annabelleandbear.com. For more information about the roles available in the movie, visit www.annabelleandbear.com. While Hollywood films can command staggering budgets in blockbuster films like the $200 million for the making of “Titanic,” a local filmmaker is making a movie on a leap of faith — faith in her story, cast and crew. Filmmaker Amy Weber, of Royal Oak’s Radish Creative Group, said she believes she’s making a film special enough to shine a spotlight on her company and launch her talented group into the world of moviemaking. On a pretty fall day, a motorcycle rider, dressed in black leather, blasted by Weber as she drove with her own 3-yearold daughter, Ayden. Looking at the toddler riding in her car seat and thinking about a co-worker, who resembles the huge, rugged character “Bear” in the film, the idea for the tender story was born. The film tells the powerful story of a man who is suddenly thrust into fatherhood and through an unexpected chain of events discovers the life-altering love found in the heart of his little girl. After a dozen rewrites with Weber’s co-author Tracey Sims of Hamtramck, the story is ready to film, and she is asking her crew and Michiganders to help her make this movie. Weber’s story needs a true cast of characters, from gruff, biker types, to a sweet 2-year-old girl. Her characters range from wide-eyed innocence to druggedout, depressed souls, and ordinary looking actors to bring her story to life. Hundreds of people, actors, cast and crew responded to Amy’s call. Auditions are by appointment only at Radish Creative Group at 326 E. Fourth St. in Royal Oak. The cast and crew have all agreed to work on promissory notes. They believe that if this film is successful, others may be made by Radish in Michigan. Weber says she is honored and humbled by the overwhelming response. Weber is trying to find a distribution deal so her team can be compensated for their work and dedication. “Annabelle & Bear” will film for 15 days in August around the metro Detroit area.